Caxton Hall a building located near to Westminster, which primarily hosted political events. It’s other use for high society celebrities to register a civil marriage. On this date, though it would be creating a history in another way. A joint meeting of the East Indian Association and Central Asian Society( now Royal Society for Asian Affairs) was scheduled to be held. One of the speakers was a certain Michael O’Dwyer. Hailing from Ireland’s Tipperary County, son of a poor farmer, he had joined the Indian Civil Service. He would however be more notorious for his conduct as Lt.Governor of Punjab from 1912-19. In a region that was burning with protests against British imperialism, Dwyer, was noted for his harsh crackdowns and often draconian laws. Nothing however would beat the brutality of what happened on April 13,1919 when 379 unarmed civilians were massacred at what was called Jallianwala Bagh, a walled garden in Amritsar. 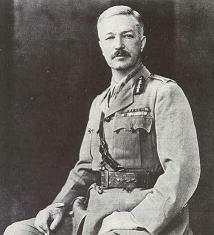 The massacre at Jallianwala was led by Brig.Gen Reginald Edward Dyer. Though it was Dyer who led the massacre at Jallianwala Bagh, he got full support from O’Dwyer, who claimed it was necessary. And add to it, post Jallianwala Bagh, as Lt.Governor of Punjab, he imposed a draconian military law, where civilians were asked to crawl on their knees, random arrests were made and flogging was common. The brutality of the Jallianwala Bagh massacre, and the atrocities that followed, inflamed many a youth in Punjab against the British rule. One of them was sitting in that very gathering, a revolver concealed in his jacket pocket, waiting for O’Dwyer to come on to the stage. As O’Dwyer took to the stage, the man there took out his revolver and fired twice. O’Dwyer collapsed, the man who shot him did not even attempt to flee and surrendered to the police. That man was Udham Singh, a witness to the Jallianwala Bagh massacre, who had sworn revenge for the atrocities inflicted on his people. His real name was Sher Singh, born on Dec 26, 1899, to a poor peasant family in Punjab’s Sangrur district. His father, Tehl Singh, worked as a railway gate keeper at a level crossing in the Uppali village of Punjab. Having lost both his parents when he was small, he along with his brother Mukta Singh, grew up in the Central Khalsa Orphanage in Amritsar. Following the Sikh initiation rites, he got the name of Udham Singh. In 1919, he left the orphanage after passing the matriculation exam. 1919, the year Punjab was in turmoil, with massive protests breaking out against the British rule. But it was what happened on a Baisakhi day, in 1919, that would forever alter the life of Udham Singh. Around 1500 Indian civilians, in Amritsar, protesting against the deportation of nationalist leaders, Dr.Saifuddin Kitchlew and Satyapal Dang, were brutally massacred at Jallianwala Bagh in Amritsar. While Gen Dyer led the carnage, he was backed by the Lt. Governor O’Dwyer. Jallianwala Bagh turned him into a revolutionary, and soon he left for the US. In the early 20s, he came into contact with leaders of the Ghadar Party in US, and around this time was influenced by the militant activities of the Babbar Akalis. Responding to the call of Bhagat Singh in 1924, he bought along with him some associates, and revolvers smuggled in. However he was arrested by the police in Amritsar, for possesion of unlicensed arms, and was sent to prison for 4 years.On his release, he worked as a signboard painter in Amritsar. It was during this time, he assumed the pseudonym of Ram Muhammad Singh Azad, to emphasize the basic unity of all Indians, over narrow religions considerations. The reason why he took that name was to state all Indians are one, and the goal was freedom from British rule. Udham Singh was deeply influenced by Bhagat Singh, and would invariably carry his portrait all the time with him. Under constant surveillance by the police, he escaped to Kashmir for some time, to evade them. In 1934, he escaped to Germany, and roamed all over the continent, before reaching England. His sole aim was to assassinate Dwyer whom he held responsible for the tragedy at Jallianwala Bagh and the atrocities that followed. He was inspired a lot by the Russian Revolution, and often carried a Punjabi booklet on the revolution with him. He finally got a chance to avenge Jallianwala Bagh, the revolver to him was given by Puran Singh, hailing from Punjab’s Malsian region. As the shots rang out in Caxton Hall, and Dwyer fell to the ground, Udham Singh stood his ground, and surrendered to the police. Atkinson told him, he was not interested in a political speech, and Udham Singh, said he just wanted to protest. Udham Singh then remarked he had something to read, the Judge told him, he was fine, as long as he gave a reason why no sentence should be passed. He claimed his fight was not against the English people, it was against the conduct of the British Government and British imperialism. When he finished his speech, he raised slogans against the British rule and spat on the solicitor’s desk before leaving. July 31, 1940, Udham Singh, became a Shaheed hanged for the cause of India’s freedom at Pentonville Prison in London. Mahatma Gandhi condemned Udham Singh’s act, calling it an act of political insanity, while Jawaharlal Nehru writing in the National Herald regretted it. However the Punjab section of the Congress backed Udham Singh and refused to condemn the assassination. The Hindustan Socialist Republican Army(HSRA), supported Udham Singh, and condemned Gandhi’s statement. Udham Singh found support in the international media too, with the Times calling his act, an expression of pent up fury among the downtrodden. On his request his ashes were sent back to India in 1974, and sent to his hometown of Sunam in Punjab. One of the great sons of India, had fired another shot for the cause of freedom, and became a true Shaheed for the nation. This entry was posted in Hindustan Republican Socialist Army, Indian Freedom Struggle, Modern India, Punjab, Revolutionary Movements. Bookmark the permalink.